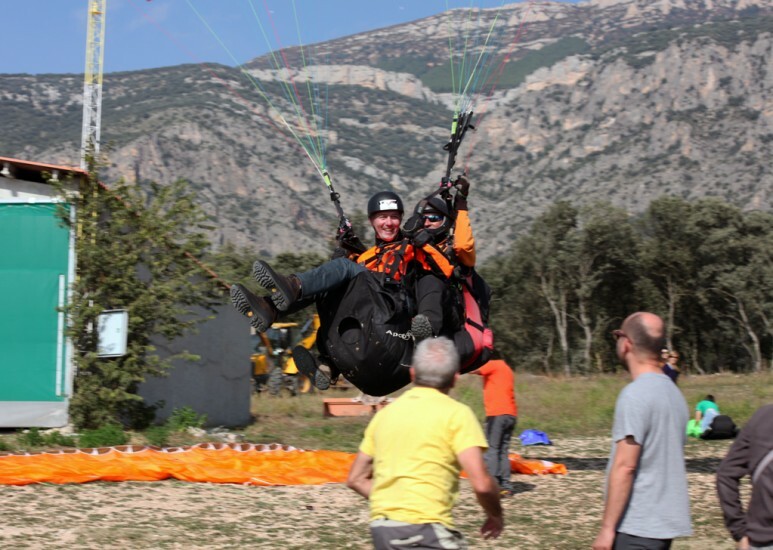 Paragliding tandem flights are suitable for people of all ages; from small children to the more senior. 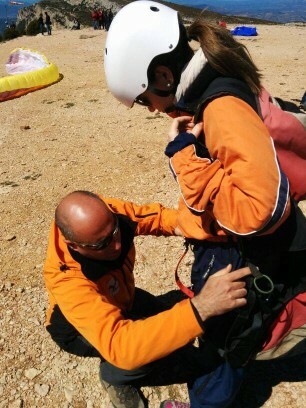 It is done with a paraglider of a larger size approved to fly two people at a time, in our case, a passenger and a qualified instructor with extensive experience. Following the instructions of the pilot and without realizing it you’ll be flying. 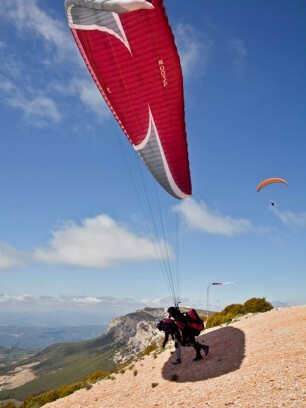 The sensation of flying with an experienced pilot on a tandem paraglider is unforgettable! It’s the closest thing to actually being a bird; flying without noise, feeling the wind in your face and watching the world pass by your feet. Once you have tried it, you will want to come back! 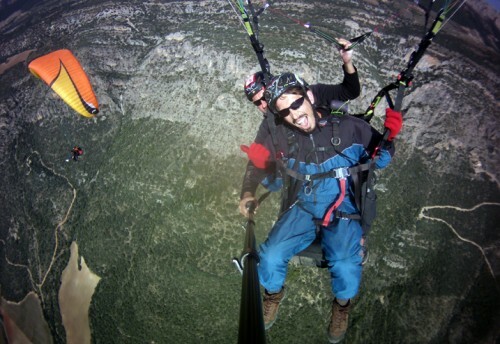 "Tandem paragliding is the most fun, safe and comfortable way to fly." Our usual takeoff areas are accessed from a paved road. Depending on the wind direction, alternative take-off sites may be used, which are accessed by a dirt road. You can drive your own vehicle to the takeoff or take a ride in our shuttle service. If you drive your own vehicle you should be aware that for every person who will fly you must also take the tandem pilot with all his gear, and don’t forget someone else to bring the car back down to the landing field. Once you arrive at the take-off spot, the pilot will fit you with a protective helmet and secure you in the harness ready to fly. He will give you some simple instructions for the takeoff and in just seconds you’ll be flying. Takeoff is very smooth and easy. Throughout the flight you will be seated comfortably and securely in the harness in complete safety and able to relax and enjoy the stunning scenery of the Àger valley. 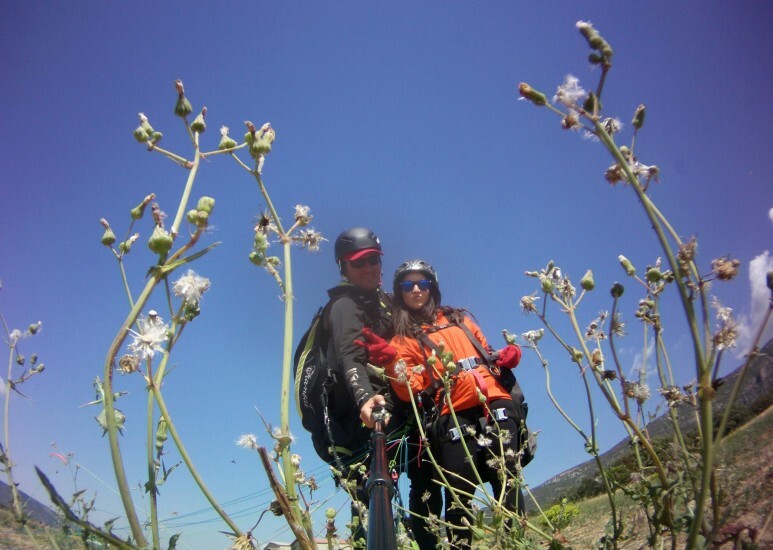 With a birds-eye view, you will see the turquiose waters of the Canelles reservior, the Lerida plains, the Camarasa reservoir and the impressive gorges of Terradets and Mont Rebei. If the weather conditions allow it, and if you want to, we will use the warm air streams to gain more altitude and reveal the panoramic views of the Pyrenees. The landing is soft and easy and just as the take-off and flight, it is completely under the control of your pilot. The pilot will tell you exactly when to put your feet down and stand-up. You won’t have to do anything else! We will land in the field next to the Masia Cal Maciarol where You have a cafeteria, restaurant, accommodation and a parking for customers. Once the flight is over, the pilot will show you the photos taken by the in-flight camera which you have the option to buy as a keepsake of the magical experience. The purchase is optional. 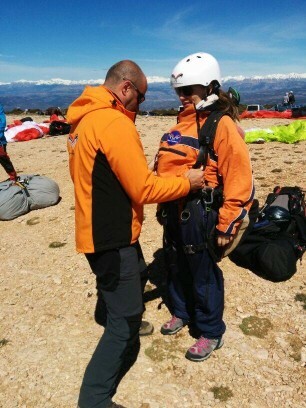 You don’t need to be in great shape or particularly fit to fly with us in a tandem paraglideryou just need to be willing and eager to live one of the most amazing experiences you can imagine: TO FLY!